Extremely tough and durable acrylic paint. Covers a number of exterior substrates including galvanised steel, plastic, cladding, wood, brick and previous painted surfaces. Resists cracking, flaking, rot and algae build up. Can also be sprayed. Approx coverage: 13-15m2. 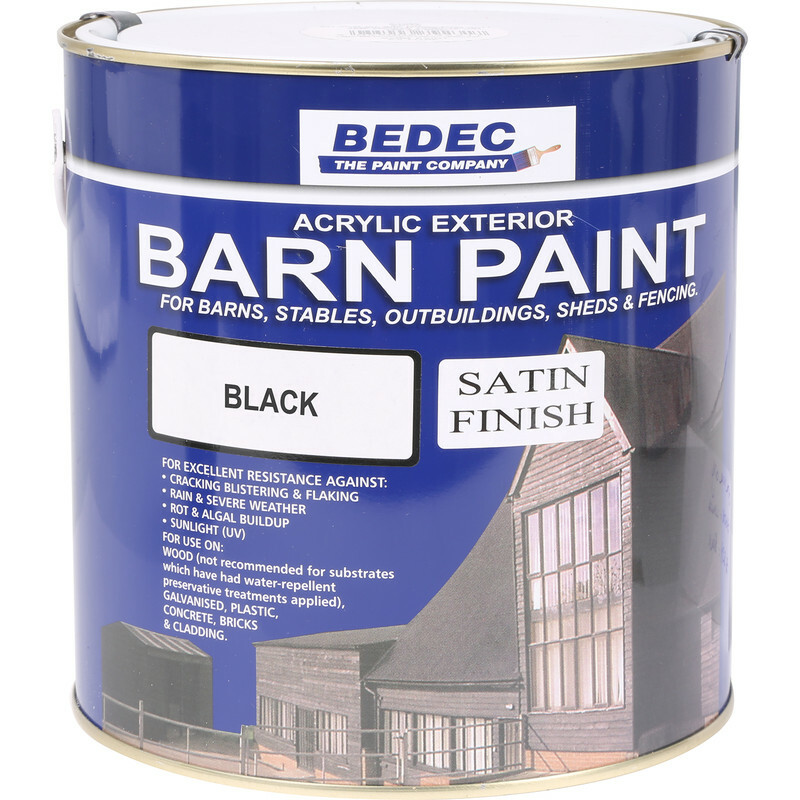 Bedec Barn Paint Satin Black 2.5L is rated 4.9 out of 5 by 8. Rated 5 out of 5 by Mike000 from Quality stuff Toolstation offered the best price available, delivered free next day. Used to paint fresh timbers on an existing outbuilding that was previously painted with creosote. Great coverage after one coat, no odour, quick drying and can be used over metal fixings, stone, timber etc. Brush washes easily with water. Whats not to like? Rated 4 out of 5 by Tallnslim from Does what it says in the tin. Recommend using a compressor to apply the coats, no drips... final coat for brush effect if needed. 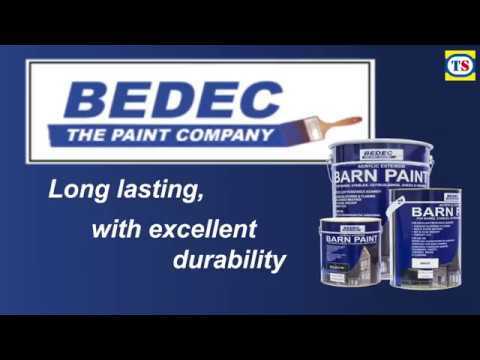 Rated 5 out of 5 by Stewart V from Best there is Tried many other shed/barn paints over the years and this still takes some beating. Rated 5 out of 5 by SteveMFC from Brilliant! This is an excellent product, which is easy to apply even when the first coat is thinned by 30% with great opacity. Used on weather board previously treated with a preservative wood stain. Will be buying more at this price too! Rated 5 out of 5 by Dawn196 from Fabulous paint! I have used this to paint the wood on the outside of my house and it’s great. Lovely to use and lovely finish. Absorbed quickly to leave a gorgeous inky black finish. Rated 5 out of 5 by Anonymous from Great product! I bought this paint after doing some research and toolstation was the best overall price once you take deliver in to account (free with TS). This product claims to have great coverage and it does. It went on really well and dried to very good finish even the last part that i rushed due to failing light. I would recommend this product. Rated 5 out of 5 by Crolly from Nice to paint with. Great weather protection for shed. Love the black semi gloss finish.